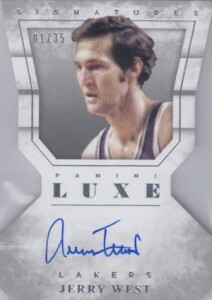 Continuing the look and feel first established in 2014-15, 2015-16 Panini Luxe Basketball returns the premium brand for another year. Hobby boxes offer four total hits and at least two autographs. 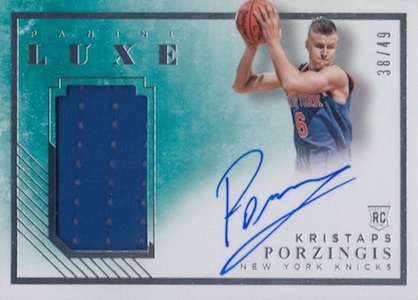 As an all-hits release, Luxe is only about autographs and relics and all cards in the product are numbered to 99 or less. 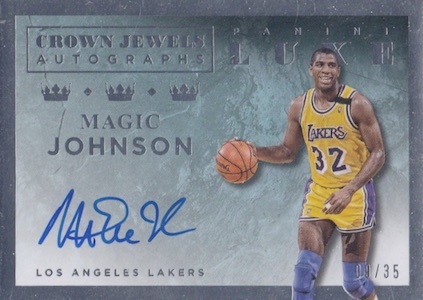 Luxe Autographs are the primary option with on-card signatures and a variety of parallels. This includes Ruby, Sapphire, Gold and Black (1/1). A new addition this year is that each parallel has a distinct color frame. 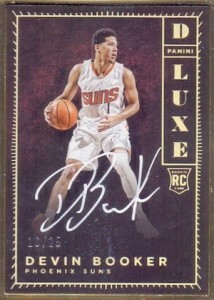 Also debuting in 2015-16 Panini Luxe, DeLuxe Autographs highlight key rookies and veterans with a gold frame and on-card signatures. 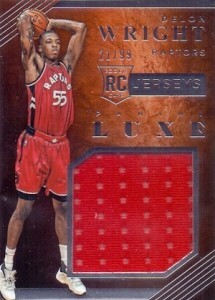 Each card in the insert set is numbered to 25. Rookies from the 2015 Draft Class are featured in Rookie Memorabilia Autographs and Rookie Jumbo Jersey Autographs. Both provide more limited choices with Prime parallels, numbered to 25 or less. 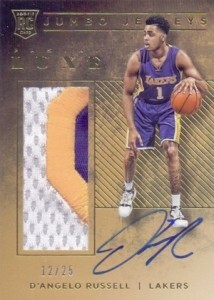 Focusing on quality swatches, relic options include Memorabilia Prime, Rookie Jerseys Prime and Memorabilia Die-Cuts. 2015-16 PANINI LUXE JOE JOHNSON DIE CUT PATCH 99 NETS JAZZ ! 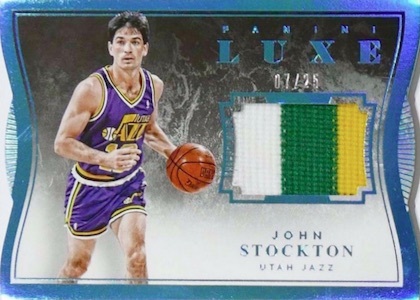 PARALLEL CARDS: Ruby #/49 or #/25, Sapphire #/25 or #/15, Gold #/10, Emerald #/5, Black 1/1. Not all subjects included in parallels. View specific options with the full spreadsheet. 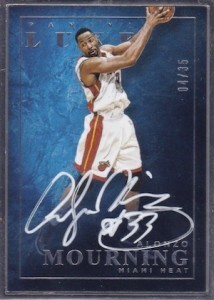 PARALLEL CARDS: Blue #/25 or less, Gold #/10 or less, Black 1/1. Really disappointed in the quality of Luxe this year. Cards falling out of frames. A lot of dings on the frames. Smudged autos. And multiple boxes in a case with points. Pretty bad. No more Luxe please. Definitely won’t buy it again. I had the bad experience of breaking this product and see one card falling out of the frame, and a corner of a thinner card a bit damaged. But I think the problem is in the boxes. The pack inside is not properly secure with the box provided. Other than that, the framed autos are beautiful, with the white ink on card autos and great photos of the players. The DeLuxe cards are super thick!! Can anyone tell me what magnetic holder should I bought for those? I know that a 180pt isn’t enough! Purchased my first 2 hobby boxes of this product. First pack had only 3 cards. Second pack had points. Really Panini? 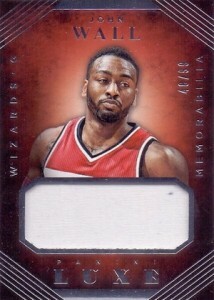 100 bucks a box and I get point and a missing card? Someone needs to QC this stuff before they go out! As with Centeio, The Dluxe autos are thick. Did anyone find out the what mag I should use? 180 is not big enough..
(1) 2015-16 Luxe Basketball Hobby BOX from Sealed Case - Towns Jokic Booker RC?